Chevrolet's future is in the hands of largely unknown Jim Campbell, a 21-year General Motors Co. veteran who most recently headed GM's Fleet and Commercial Operations. 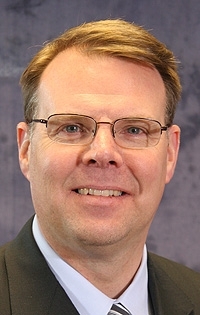 Campbell, 45, became general manager of Chevrolet on Wednesday, after Brent Dewar announced his retirement. Here's a chance to get to know Campbell, with quotes from an Automotive News interview Thursday. Experience: GM lifer. Joined in 1988. Has worked in customer relationship management, field sales and retail planning, along with marketing for the launches of the Chevy Cobalt, HHR, Colorado and several Corvette models. Had served as head of Fleet and Commercial Operations since February. Upcoming challenges: Launching a new marketing campaign and the Cruze, Volt and Silverado heavy-duty pickups.